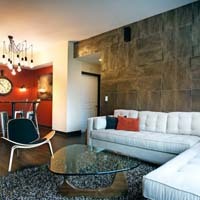 The wall tiles inject a sense of personality to the living room. In fact, the wall tiles change the overall look of the room. Nowadays, there is a wide range of wall tiles available such as pattern, classic, printed, vibrant and more. It is up to the taste of individuals which type they pick up from various available. The MyTyles online store provides a variety of living room tiles for the people. Whether you want to add classic look or want to add the modern look, we have solutions for you. One can find different color, size and pattern wall tiles for their living room here.